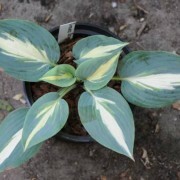 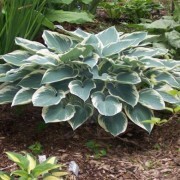 blue foliage and will be topped with white flowers mid season. 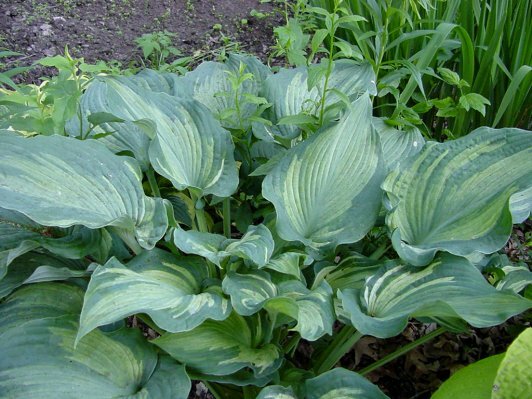 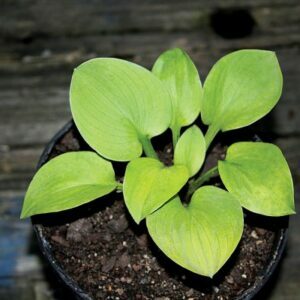 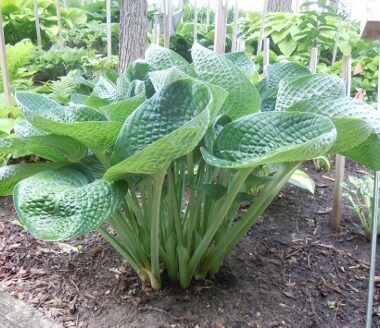 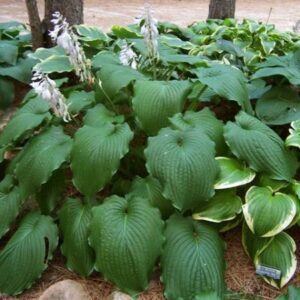 Large: This ‘Blue Angel’ sport has huge, 16” long by 10” wide, heart shaped cream centered leaves with blue-green undulating margins. 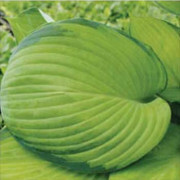 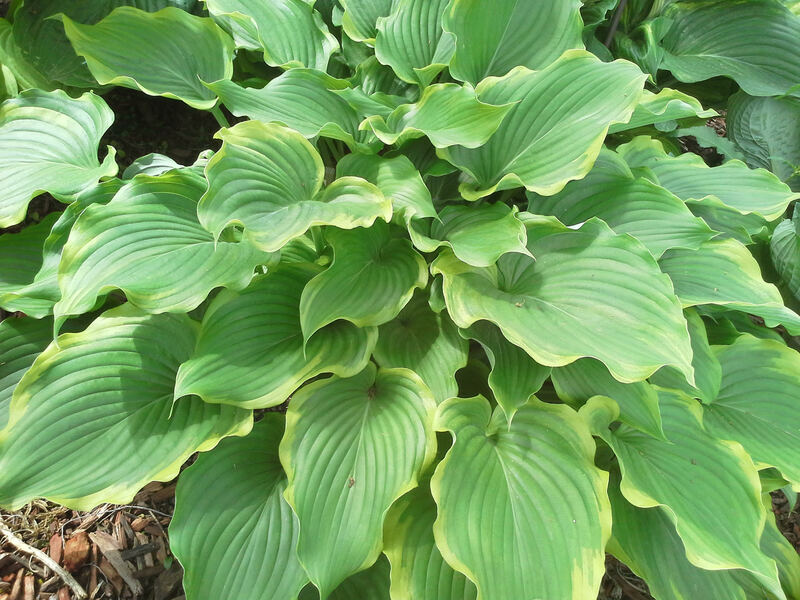 Leaf centers tend to turn light green later in season. 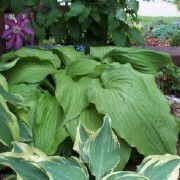 Near white flowers held in dense clusters on 48” scapes in June.